A sofa just like any other household item requires regular cleaning. Some people prefer to clean annually while there are those who do not clean them at all. Sofa cleaning is recommended for a number of reasons. The most important one is that it will remove dirt, dust mites, microorganisms and stains that accumulate over time. How often you wash it depends on how first it gets dirty. If you have children around, a sofa may get dirty quicker than in a home with no kids. In addition, if you love taking meals on the sofa or it serves as a bed, cleaning it more often is recommended. For you to clean your sofa effectively, you need to know how to go about it. A sofa cannot be treated like your regular laundry. It needs more attention and a lot entails in cleaning it. If you want the cleaning to be effective, you should involve a professional sofa cleaning company or expert. You will be assured that the process is done professionally and the sofa will not only be clean but it will be well maintained. 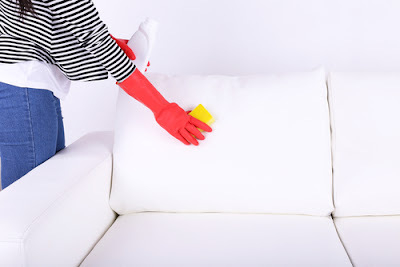 You may argue that this will end up costing you more but remember that wrong cleaning techniques may ruin your sofa or not remove all the dirt and stains. How do you choose the right professional to do the job for you? What are some of the things you should look out for? 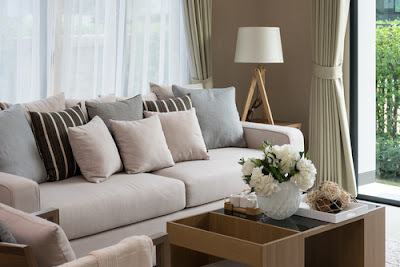 Before settling for a particular sofa cleaning service, you must have several to choose from. If you have no idea of where to start, you can ask family members and friends for recommendations. It is also good to check online for companies in Singapore that can offer you the service. You can browse around and go through reviews by those who have used the services in the past. What do they have to say about the company? Were they happy with the services? If they have complains, what were they? Can you overlook them? When you have some recommendations or have checked a few online companies, the next step is qualifying them. Here are some things you should check out for. From the moment you call a company requesting for their sofa cleaning services, you will be able to know whether they can actually deliver what you are looking for. A professional company will have someone to help you with the whole process no matter the time you call in. They will, listen to your requests, offer advice and recommendations and ask questions where they do not understand. Some will even send someone over to check what needs to be done even before they give you a quote. A professional company will have transparent dealings. It will inform you of everything involved from the word go. It will have clear and understandable contracts and only send over employees who have also been trained to be professional and dependable. It will not change the terms of service or have hidden charges. You will be assured that what it promises is what you will get. It does not matter what type of a sofa you have or the material used to make it. A cleaning company should be able to accommodate all sofa types. It should have the right products and ingredients required to clean any sofa perfectly without ruining the fabric. In addition, different sofa types require different cleaning methods. It should know what method to use at a glance. Its employees should also be well trained to handle any sofa type without ruining the fabric or the sofa itself. It is also wise to check how long the company has been in operation. The longer it has been the better. Can you rely on the company to do what it has promised at the right time using the right procedures? Are you kept waiting for days or do they cancel appointments at the last minute. A reliable sofa cleaning company should have enough employees to handle all the incoming requests fast and efficiently. It should also keep its words and deliver what it has promised. When a client’s demand is more than it can handle, it should communicate this in advance to avoid conflicts or misunderstandings. Can the Company Be Trusted? 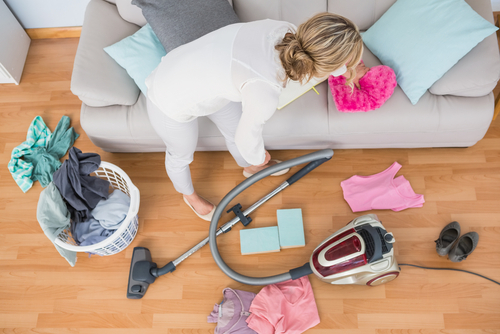 More often than not, you will have the cleaning company’s employees performing the job from your home or wherever the sofa is located. Can you trust them with the sofa and your entire house? You do not want to have people in your house who damage or take off with some of your property no matter how insignificant they may be. You want to deal with a company that assures you that even if you leave the employees in your home unsupervised, nothing will go wrong. Although you should not go for the cheapest offer you get for a sofa cleaning service, the rates should be within your budget. Mostly, professional and reliable companies tend to charge more than those that do a shoddy job. If you cannot afford their services now, it is advisable that you start putting some money aside for a while until you have enough to cater for the service. This in the end will save you money and time. If you go for a cheap offer, you may end up having your sofa ruined or the job not done satisfactorily. This will eventually mean that you will have to look for another company to repeat the job, which will cost you more. When you have the right cleaning service, you stand to gain a lot. Your sofa will serve you for long because it will be cleaned by experts who make sure they do not ruin its fabric. It will also maintain its original color because the right detergents have been used. You will also have peace of mind knowing that experts are taking care of the sofa giving you time to handle other issues you may have. You will have more time to spend with those you love or attend to other chores.